The dinosaur thinks he's much too tall. It's not easy being different! Danny decides to cheer his friend up, and together they discover that being too tall might not be so bad after all. 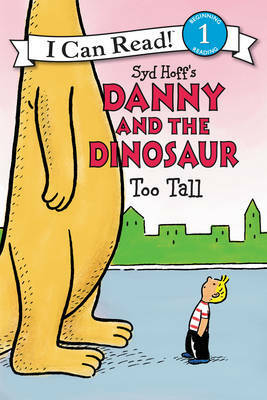 Readers first fell in love with Danny and his prehistoric pal in the I Can Read classic Danny and the Dinosaur, created by Syd Hoff in 1958. Now the popular pair are together again in a hilarious I Can Read adventure sure to win over a new generation of beginning readers. This Level One I Can Read book is perfect for children learning to sound out words and sentences.